We do not collect personally identifiable information from you unless you voluntarily provide it to us, such as by signing up to receive newsletters, registering for an account, filling out a survey or questionnaire, submitting an order for products or services (an “Order”) or otherwise choosing to share your personally identifiable information with us. You may be required to submit certain personally identifiable information when you register for an account on the site. The personally identifiable information which you may provide to us could include your name, email address, physical address, telephone number, credit card number, date of birth, and other personal information. What Non-Personal Information Does Kiss And Makeup Collect About Me? When you visit the website, we may automatically collect non-personally identifiable information from you, such as your Internet service provider's host address, the web page from which you came, web pages viewed, browser type, operating system, referring service, search information, device type, page views, usage and browsing habits on the Service and a record of your activity on our website, and may aggregate any information collected in a manner which does not identify any individual (“Aggregate Information”). Aggregate Information obtained in connection with the website may be intermingled with and used by us in conjunction with information obtained through sources other than the Website, including both offline and online sources. Aggregate Information may be shared by us with third parties for our internal marketing, advertising or other purposes, including analysis of the website for purposes of improving its shopping environment. We also collect the information you provide to us when you register for "My Account" or contact us (for example via email). We periodically send you email about new products and services, discounts, special promotions or upcoming events. If you do not wish to receive such emails in the future, please contact us, or click the "unsubscribe" link on any promotional email you receive from us. *Please note: In order to process your purchases we may send you a confirmation email or we may contact you by mail or telephone if we have questions about your order. What are "cookies" and how does Kiss and Makeup use them? A "cookie" is a small data file that is sent by a website to reside on your computer’s hard drive and/or temporarily in your computer’s memory blocks. At Kiss and Makeup, we place a unique identifier in the cookie and use the cookie to connect your computer with the information we store for you in our database. Some examples of the data we store in our database includes your account preferences, items added to your shopping bag, user-specific information on pages accessed, and previous visits to our website. Through cookies we may: alert you to new areas that we think might be of interest to you when you return to our website; record past activity at our website; or, customize Web page content. Your information is stored in a safe and secure database. If you are shopping Kiss and Makeup and are having difficulty adding product to your Cart or completing your order, please check your privacy settings in your browser. 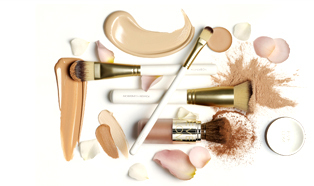 If you do not wish to change your privacy settings to "Medium" and you are currently using the "Medium High" or "High" settings, you may choose to override your current cookie handling practices for individual sites that you specify, including www.kissandmakeupny.com. We have appropriate, commercially reasonable security measures in place to protect against the loss, misuse or alteration of information that we have collected from you so you can feel comfortable and secure when shopping. We use industry-standard encryption technologies when transferring and receiving your personal information. On the Internet, when you see either a solid key icon or a locked padlock icon at the lower portion of your browser window, this indicates that the website is secured through Secure Sockets Layer (SSL). Pages requesting personal information should always have one of these icons. Although we use commercially reasonable efforts to protect the security of your personal information and our system, due to the inherent open nature of the Internet, no transmission via the Internet can be guaranteed to be 100% secure. As a result of this and other factors beyond our control, we cannot guarantee the security of the information that you transmit to or through our Website. Therefore, you assume that risk by using the Website. Once you place your order online, you will receive a confirmation email along with a tracking number. Depending on which shipping method you select, you will be able to track your order online to ensure that it arrives on time. Kiss and Makeup does not knowingly seek to solicit information from anyone under the age of thirteen (a "Child"). If a Child submits information to us and we know that the person submitting the information is a Child, we will not use it for any purpose. We will use all reasonable efforts to delete the information as soon as we discover it and we will not disclose it to third parties. Feel free to contact us for any reason, including a request to be added to or taken off a list, or if you have any questions or concerns. Please note: When you contact us, please provide your name and address exactly as it appears on correspondence you have received from us. You may contact us via telephone at (516) 374-2666 or via email at [email protected] . If for any reason you would like to be taken off the email list that notifies you of upcoming events, offers and sales, simply click the unsubscribe link provided at the bottom of every email we send or send an email to [email protected] with UNSUBSCRIBE in the subject line.